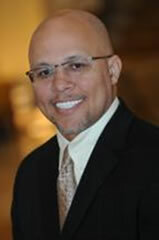 It is my privilege to welcome you to the Third Annual Florida Diversity & Leadership Conference on April 12, 2012 in Orlando, Florida. This year's theme is "DiversityFIRST™: Creating New Opportunities for Your Community". As the Florida area experiences demographic changes, along with these changes come opportunities: Opportunities for corporation to expand their market share, opportunities for greater diversity of thought, opportunities for greater innovation, opportunities for organization to recruit from a greater diverse pool of candidates, opportunities to examine your corporate culture to ensure that your workplace is a place of inclusion, opportunities for organizations to become a Community Champion for Diversity & Inclusion and finally the opportunity for everyone to value & respect differences. The purpose of this one day conference is three fold. First, the conference is obviously a great place for professional development. The list of excellent speakers and the various sessions on diversity and leadership will definitely give one tremendous insight. Second, the conference is about community. It gives the Florida Community a forum to have dialogue on very important topics that affect each and everyone one of us every day. Open dialogue is essential for progress. Third, the conference is all about the future of the Florida area. As each day passes, this region becomes more and more diverse. If companies/organizations do not learn how to successfully leverage & managed diversity, it will be very challenging for them to stay competitive. I want to thank our sponsors for their financial support. Without their support, there would be no Florida Diversity & Leadership Conference. Please take note of our sponsors and support them when possible. Second, I want to say "Thank You" to our speakers who have made commitment to be here from this conference. Many have traveled in order to participate and I greatly appreciate their support. Finally, I would like to thank the organizers of the conference for a job well done.